The Hague beach resort of Scheveningen is highly popular in the Netherlands for a good reason. During all four seasons, you can enjoy the beach, sea, shops, attractions, museums, nature and cozy restaurants here. Festivals and events, markets and fun children’s activities are also held on and around Scheveningen boulevard all year round. From Scheveningen Beach Resort you can easily walk or cycle straight into the dunes. 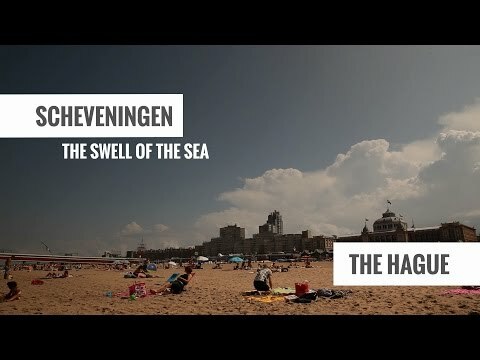 And the historic city centre of The Hague is only fifteen minutes from Scheveningen beach! The famous seaside resort has an abundance of attractions and museums. At Holland's most famous coastal attraction, The Pier, you can visit a cosy market almost every weekend. After a refreshing walk along the beach, drop in at the restaurants and cafés on the boulevard and the year-round beach clubs to enjoy a delicious dinner with a view of the sea. SEA LIFE Scheveningen is a must for a day out with children. The Pathé cinema, Circustheater and Holland Casino guarantee a great evening out in Scheveningen. With a beach that stretches for kilometres, The Hague is the only Dutch city where you can find so many surfing schools in one place. Whether you want to learn to windsurf, wavesurf or kitesurf, the southern area of the resort offers plenty of choice, all year round. From Scheveningen Beach Resort you can easily walk or cycle straight into the peaceful dunes. With thousands of hectares of dune areas and parks, Scheveningen offers plenty of space to enjoy freedom and nature. Meijendel to the north of the resort and Westduinpark to the south guarantee hours of walking and cycling pleasure for young and old. Scheveningen has an endless array of shopping areas that are characterised by small speciality shops alongside many cosy and lively lunch cafés and restaurants. Here you will surely find surf shops where you can buy trendy boards, swimwear and sunglasses. There are also plenty of clothing shops, fashion boutiques and shoe shops where the true shopaholics can indulge in their passion. The most important shopping areas are Palace Promenade at the boulevard, Keizerstraat in the old fisher's village and Belgisch Park, located directly behind the most popular part of Scheveningen beach. The kilometre-long boulevard at Scheveningen is home to many lovely restaurants and beach clubs that boast a fabulous view of the sea and De Pier. No other city in the Netherlands has as many beach pavilions as The Hague. At the beginning of March the beach pavilions are put up again in Scheveningen, Kijkduin and on Zuiderstrand. They stay open until the end of October. Located at the southern section of the boulevard are some permanent beach pavilions and surfing schools where you can also come in the winter months for breakfast, lunch and dinner. Scheveningen has various beach hotels, where you can sleep with a magnificent view of the sea. Holiday feeling guaranteed: but make sure you book early especially for the summer months. In the vicinity of Keizerstraat in Scheveningen Village you can find cosy family hotels and apartments, also in the chic Statenkwartier where large business hotels are also located. Scheveningen is well served by public transport and is easy to reach by car and bike. The beach can be reached quickly by public transport. A range of buses and trams run to Scheveningen from both train stations in The Hague within 15 minutes. The beach is a few minutes' walk from the Kurhausplein stop. Travelling by car from the A44 and A12, follow the signs for Scheveningen Bad. You will find various parking garages located in the vicinity of the boulevard, including Zwolsestraat.